The division of land and consolidation of territory that created the Greek polis also divided sacred from productive space, sharpened distinctions between purity and pollution, and created a ritual system premised on gender difference. Regional sanctuaries ameliorated competition between city-states, publicized the results of competitive rituals for males, and encouraged judicial alternatives to violence. Female ritual efforts, focused on reproduction and the health of the family, are less visible, but, as this provocative study shows, no less significant. Taking a fresh look at the epigraphical evidence for Greek ritual practice in the context of recent studies of landscape and political organization, Susan Guettel Cole illuminates the profoundly gendered nature of Greek cult practice and explains the connections between female rituals and the integrity of the community. 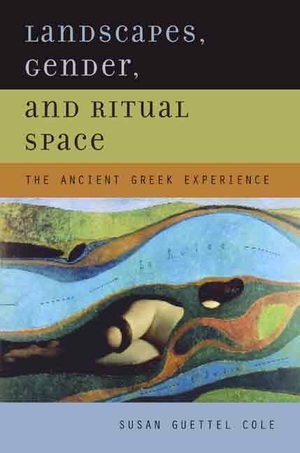 In a rich integration of ancient sources and current theory, Cole brings together the complex evidence for Greek ritual practice. She discusses relevant medical and philosophical theories about the female body; considers Greek ideas about purity, pollution, and ritual purification; and examines the cult of Artemis in detail. Her nuanced study demonstrates the social contribution of women's rituals to the sustenance of the polis and the identity of its people. Susan Guettel Cole is Professor of Classics at the University at Buffalo (SUNY) and author of Theoi Megaloi: The Cult of the Great Gods at Samothrace (1984).
" I Write the Oaths of a Woman in Water"